Q&A: Does Weight Loss = Strength Loss? 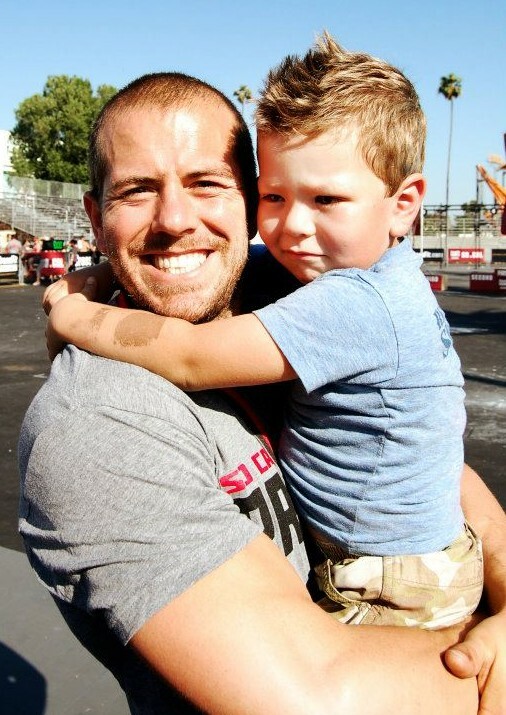 My son, Carson Lee Kinnick 3 1/2 years old, and I after Daddy took 3rd place at the 2012 Reebok Crossfit Games SoCal Regionals. Below is a question posed by one of my blog followers in regards to losing weight and losing strength. Do they in fact go hand in hand? Do they have to? Is there a way to keep this from happening? If so, is it worth it? Read below and see what I have to say. 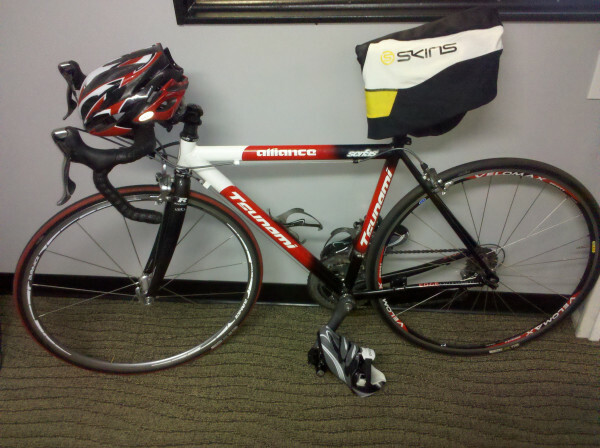 Rambles… Thanks for the comment and more importantly thank you for the kind words and support. Thats a great question. I think a lot of it has to do with my programming. As you may know Brian Mackenzie programs everything I do. I work a lot on explosiveness and I lift heavy on a regular basis and also did so as I was dropping weight. I have gotten a bit stronger on some movements but more importantly I have gained overall strength endurance. Meaning I can move heavy weight for high reps really well. I think that is far more important than have a super heavy 1 rep max. Have you or did you lift much while losing weight? Also, how did you lose weight? I follow the Zone balance and eat unprocessed foods mainly organic and grass fed/free range, as much as I can afford at least. I have seen a lot of people lose strength when not eating enough Carbs from fruits and veggies. I also write a lot of meal plans for crossfitters throughout the community as well as at my box and when people are lifting and fueling properly I have seen a lot of strength gains with weight loss. So I guess it just depends on what you are doing. Hope that helps. If you want me to elaborate on any of the points or you have more questions, please let me know. Thanks again for the comment.